I've been feeling a lot of mixed emotions since getting the bombshell that Google's selling Motorola to Lenovo. Sure, there are plenty of arguments for why the sale makes sense from a business perspective. It's the other side of the coin -- the consumer perspective -- that concerns me. The Google-run Motorola was the one Android manufacturer doing things differently -- and in many ways, doing them right. The Moto X is special not because of any single spec or feature but because of the way the whole package fits together -- the cohesive and outstanding overall user experience it provides. The same goes for the Moto G, only on an affordable budget-level plane where devices have traditionally been terrible to use. Anyone can take the formula and keep making the shapes, but Motorola's touch went beyond the mere assembly of parts. So much of it was about taste and restraint -- Google's willingness to scale things back and focus on what actually mattered for a good user experience. Quality over quantity. Meaningful value additions instead of arbitrary UI modifications. And continuing to impress customers even after they've bought a device with speedy OS upgrades, transparent communication, and regular software improvements outside of the base OS. There were great products, sure, but those products were driven by even more important underlying ideals. And that's why I think I -- and many other tech enthusiasts who've watched the Google-owned Moto come into its own -- can't help but feel a sense of sadness at the end of an exciting era that had only just begun. Ultimately, the Google-owned Motorola may not have been a smashing financial success. Nor did Google expect it to be by this point; the company often described its position as a "long-term investment," ironically, and said it knew it'd be a while before the company found its place in the market and started to make money. The truth is that the Moto handsets didn't have the time or the exposure -- and perhaps also the right marketing and distribution arrangements -- to take off in any large-scale way. But the product strategy itself was sound. From a consumer perspective, Motorola was absolutely nailing it. I want to remain optimistic that Lenovo will keep up with what "the new Motorola" began. To its credit, the company does have a strong track record with taking over brands and staying true to their identity (remember the once-IBM ThinkPad?). But I've also used Lenovo's existing Android products -- and in terms of both design and underlying philosophy, they show a dramatically different approach to what Motorola's been doing. And not in a good way. Ultimately, it's far too soon to say how Lenovo will handle this transition. If the company leaves the current Moto creative team in place and gives them the distribution resources they need to carry out the product vision they'd started, this change could actually end up being positive both for the company and for consumers. 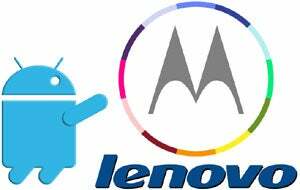 If Lenovo merges Motorola into its own culture, though, I fear the things that made Moto so different -- the taste, the restraint, the strong focus on post-sales software support -- could fade away and we could be left with another financially viable but forgettable value-level player. After all, what's good for Lenovo might not be good for us as consumers -- particularly as consumers who care about superb smartphone experiences. Take a deep breath, though: It'll be a while before we know how this story plays out. The sale still has to approved and completed. And even after that happens, there'll be a transitional period where the products created by the Google-owned Motorola are still in the pipeline (though we may be able to get a glimpse of the company's software support strategy and whether its commitment to consumers has changed by then). Lenovo, I say this: You've finally got the world's attention. This is your chance to impress us. This is your chance not just to make money but to make a meaningful impact on the mobile market -- to become the next truly great smartphone manufacturer. You've got the people, the technology, and all the tools you need. Please, Lenovo: Don't screw it up.